The PirOLED was introduced for the first time at the SuperPiu international design fair in April 2010 with great success. The unique light sculpture with the latest OLED and LED technology from OSRAM enthralled the design-oriented public straight away. As versatile the design possibilities with organic LEDs are, so are the creative possibilities with PirOLED. Each of the five integrated OLED panels can be aligned differently. This provides optimum and atmospheric lighting - regardless of which surroundings the luminaire is placed in. The light from the glare-free panels is similar to the cozy light from an incandescent lamp. The elegant design is further emphasized by high quality materials. 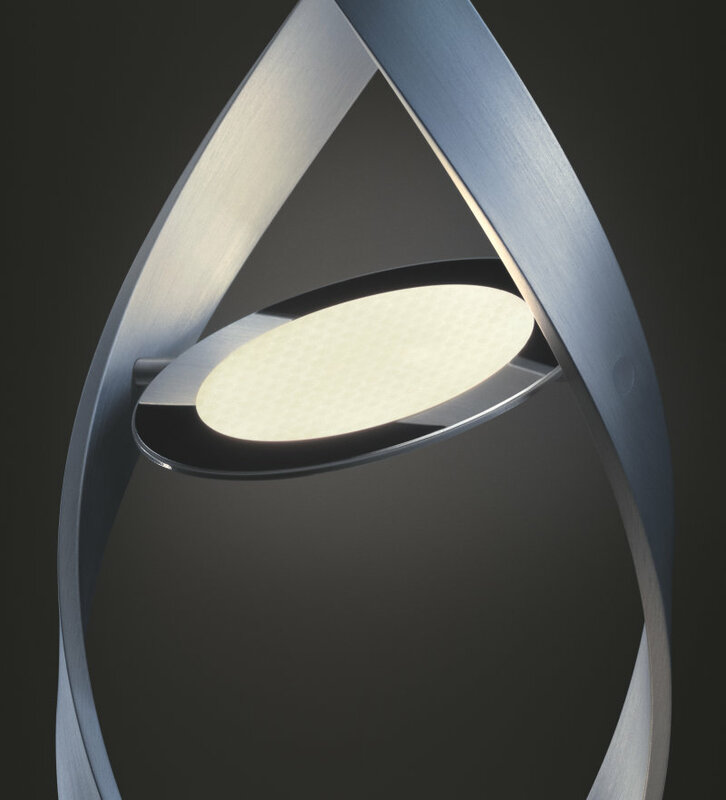 With its innovative technology and a shape inspired by a pirouette, it defines light in a completely new way and shows today what will be possible in the future.